Integrative massage is a healing art that reduces stress, relieves pain and restores function to the neuromuskuloskeletal & fascial systems. Integrative Massage is a multifaceted, multidisciplinary and blended approach to soft tissue (muscle, tendon, ligament & fascia) manipulation. In addition, it treats the individual as an intellectual, emotional and energetic being. It is a natural progression and evolution of our combined education and experience. This type of bodywork matches treatment to the cause of injury. In other words, if 5 clients come to IT&B for neck pain, each individual has a different mechanism causing the pain. Each will be treated differently and accordingly. One may be due to sleeping patterns, another due to a car accident, another from stress, the other from poor posture and yet another from vision impairment. There is no ‘routine’ for neck pain…each will be treated according to their needs. Although it is one of the last of the Eastern healing arts (Acupuncture, Shiatsu, Yoga) to make it to the West, this modality is creating a stir because of its multifaceted approach to pain relief, health care and wellness. It combines aspects of yoga, acupressure, meditation, Ayurvedic Medicine, Traditional Chinese Medicine (TCM) and breathing techniques into a unique system of energetic and manual therapy. As one of our Integrative modalities, we’ve also incorporated highly effective facilitated stretching techniques, which produce increased flexibility (increases range of motion & decrease tension in the joints) as well as increasing pliability (increases circulation and boosts the immune system). Integrative Thai Yoga Bodywork is energizing & deeply relaxing (yin and yang), restoring homeostasis (balance), vitality and well-being to the body. Whether you’ve done yoga before or not, Integrative Thai Yoga Bodywork must be experienced to fully appreciate. It is light-heartedly referred to as ‘Lazy Man’s Yoga’ because of the passive role the client enjoys during the session. It is ideal for those curious about Yoga or any form of Meditation. Thai massage is practiced with the client fully clothed in loose-fitting, comfortable clothing. No massage media or lotion is used during the session. Thai massage is administered in a slow, rhythmic and meditative manner. Thai massage is a core component of a multi-faceted health maintenance program; including nutrition, exercise, meditation and spirituality. The techniques consist of thumb pressing, compressions, rocking movements and stretching. The Thai Massage practitioner will utilize more than just their hands (palms, thumbs and fingers) to apply techniques; such as feet, knees, elbows and forearms. Sessions take place on a mat or pad placed on the floor instead of a massage table. Thai Massage practitioner attains a meditative state that they share and resonate with the client through touch. Although it is viewed as a physical modality, largely due to the stretching involved, the primary focus of this work is to impart balance and harmony to the ‘energetic’ body and mind of the recipient. The average session is at least 90 minutes long and in Thailand can go as long as 3 hours! 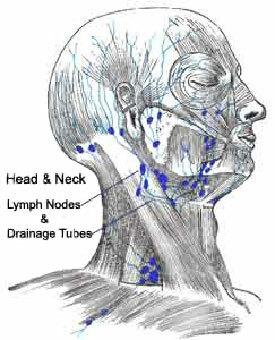 We are very proud to introduce our newest massage modality: Integrative NeuroLymphatic Drainage (INLD). 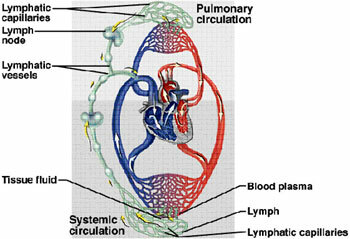 Integrative NeuroLymphatic Drainage is designed from the ground up to be a unique blend of techniques specifically designed to boost the immune system by facilitating the fluid transportation systems of the body; the CranioSacral (Nervous System), Lymphatic (Immune System) and Circulatory Systems (Cardiovascular System). “No disease can possibly come to any of these organs while supply and drainage are absolutely perfect.” –A.T. Still, D.O. These fluid transportation systems are key components of the body’s innate ability to heal, regulate, communicate and interrelate with all other systems of the body. Facilitation of this system guarantees a strong and competent defense system against harmful pathogens and illness. Stagnation or restriction of the natural ebb and flow of the body’s ‘deep seas’ will result, without fail, to disease, discomfort & dysfunction. Our decision to develop this modality is largely based on feedback from our clients and referring physicians. Also, our research shows that there is an ever-increasing demand in the medical community for competent therapist trained in lymphatic work. We are here to fill that need. The work speaks for itself. Gentle and deeply relaxing to receive, it has a solid and influential effect on both local and systemic circulation. In the few short months of practice with INLD, we have had remarkable and often stunning results ranging from decreased swelling & congestion, improved recovery time, and increased pain-free range of motion of the limbs. Make no mistake about it, the ‘Fluid Body’ is a vital component of the physical, emotional and energetic bodies. The body’s ‘Deep Seas’ hold many mysteries that the scientific community is only now starting to decipher.